The Impact Bermuda 2019 Conference — which is set to be be held from Friday, February 22 until Sunday, February 24 — is offering an early bird special which ends on January 16th. A spokesperson said, “The Early Bird Special of $150 for the Impact Bermuda 2019 Conference ends on January 16th. “Impact Bermuda 2019 is a three-day conference held on Friday, February 22 – Sunday, February 24, 2019, at the Willowbank Resort and Conference Center focused on helping participants make choices, take action and learn to partner with others as they active hidden potential in their lives. “Choice, Action, and Partner is the C.A.P. that creates a spark and lights potential in the lives of each participant. The conference is broken up into a series of learning session that moves participants through a sequenced approach to learning how to take off limits and break through to their next level. 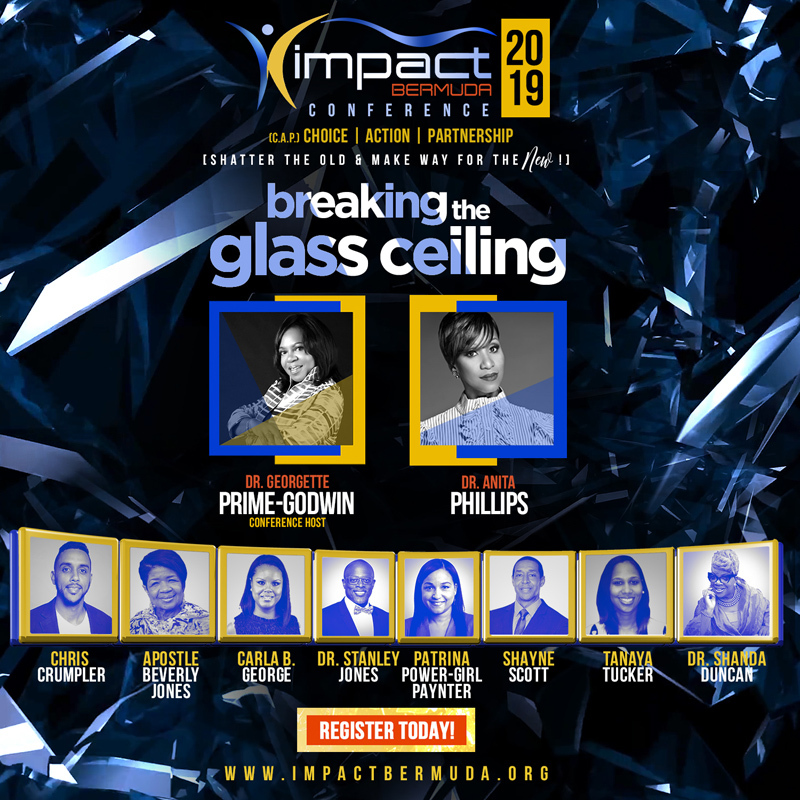 “The Conference features Dr. Anita Phillips a world-renowned minister and mental health professional that encourages, educates, and empowers others. Her life’s mission is to keep the conversations regarding mental illness at the forefront of churches and communities. “Impact Bermuda 2019 also features the Billboard chart-topping group; Last Call whose current single “Victory” sits at the top of the Gospel Indicator Chart. Radio stations around the world are playing their song over 400 times each week, which has earned them the #1 spot for six weeks. Their album “Ten Thousand” features songs of inspiration as listeners learn to go deeper and higher while running after God. “That’s not all, the Impact Bermuda 2019 Conference offers a variety of other topics to help you take the C.A.P. [Choice, Action, Partnership] off of your potential. These conference session will ignite your inner thoughts and desires. “The Willow Bank Resort and Conference Center is an elegant venue where you can come, settle in and prepare to learn in a warm and inviting environment. Get your tickets today before the Early Bird Special ends. Visit here to register or call 535-1530 for more information. The Early Bird Special of $150 for the Impact Bermuda 2019 Conference is ending on January 16th. The price will then increase to $199.00.